‘ohana: 1. Family, relative, kin group; related. 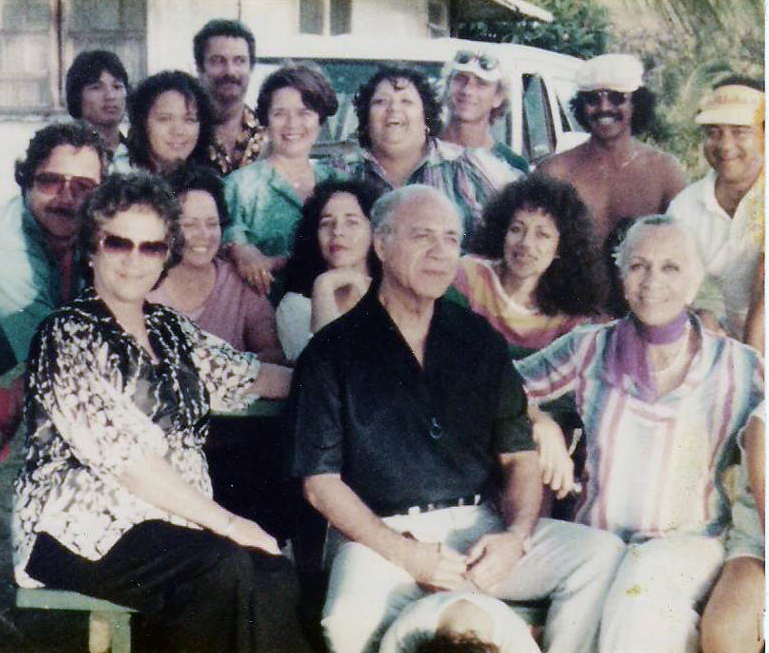 ‘Ohana holo’oko’a, ‘ohana nui, extended family, clan. 2. To gather for family prayers (short for pule ‘ohana) (Pukui & Elbert, 1971). Nā kupuna a’u. Ko’u ‘ohana.